Porcelain. Thrown, altered, & assembled. High fire. 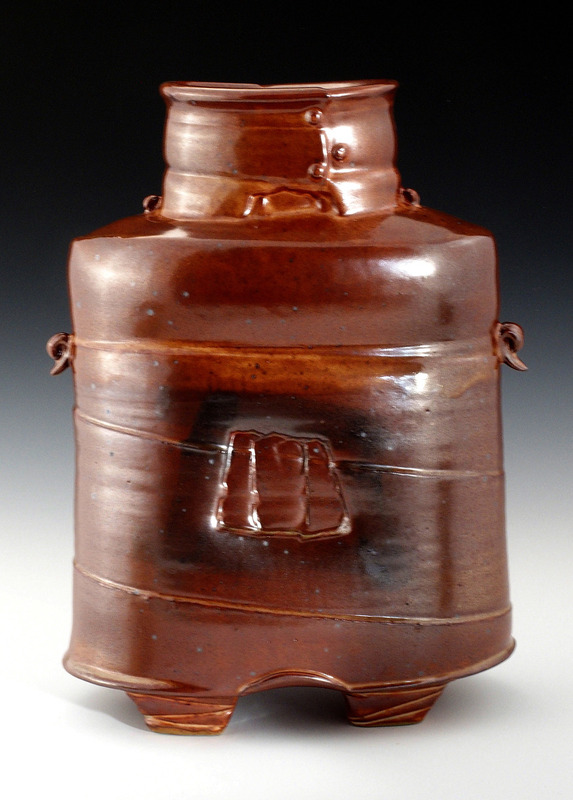 Shino glaze.